Paedobaptists, while rightly affirming the fundamental and underlying unity of the covenant of grace in all ages, wrongly press that unity in a way that distorts and suppresses the diversity of the several administrations of that covenant in history. To put it another way, paedobaptists rightly emphasize the inner continuity of the various administrations of the covenant of grace, while wrongly neglecting the various external discontinuities which exist between those administrations. To put it in still a third way, paedobaptists rightly stress the unity of redemptive history, while wrongly ignoring the movement of that redemptive history. Thus their error is fundamentally one of biblical theology, of understanding the progressive unfolding of God’s redemptive purposes in history. This hermeneutical error, thus stated, inevitably leads to a twofold distortion of the relationship between the two testaments of the Bible. Paedobaptists simultaneously “Christianize” the Old Testament (read the Old Testament as if it were the New(3)) and “Judaize” the New Testament (read the New Testament as if it were the Old). In thus “Christianizing” the Old Testament, paedobaptists restrict the significance of circumcision to purely spiritual promises and blessings, while neglecting its national, earthly, and generational aspect. In thus “Judaizing” the New Testament, paedobaptists import Old Testament concepts of “covenantal holiness,” “external holiness,” “external members of the covenant,” “external union to God,” “covenant children,” etc. into the New Testament, even though these distinctions are entirely abolished by the New Testament and completely foreign to its teaching. Four biblical passages may be set forth as the exegetical basis for identifying and exposing this basic hermeneutical error of paedobaptists: Jeremiah 31:31-34, Jeremiah 32:37-41, John 1:11-13, and Romans 9:2-4/8:15-17. Many other passages of Scripture could profitably be examined on this point, but none speak to the vital issues so clearly or succinctly. Jeremiah’s statement is central, not peripheral, to identifying the relationship between the New Covenant and previous historical administrations of the one covenant of grace. Jeremiah’s words are quoted in Hebrews 8:8-12, in Hebrews 10:16-17, and alluded to by our Lord in John 6:45. They speak directly to the issue of continuity and discontinuity between the covenant administrations. Three implications clearly follow from Jeremiah’s description of the New Covenant. First, the New Covenant is an unbreakable covenant. The very reason why God established this New Covenant with his people is because they broke the old one (v. 32). And if the New Covenant is an unbreakable covenant, then the paedobaptists have failed to recognize an important discontinuity between the New Covenant and the previous covenant administrations. The covenant as administered to Abraham and to Moses was breakable. “Any uncircumcised male, who has not been circumcised in the flesh, will be cut off from his people; he has broken my covenant” (Genesis 17:14). “They broke my covenant” (Jeremiah 31:32; cf. Deuteronomy 28, 29:19-25). But according to Jeremiah, the covenant as administered in the New Covenant is not breakable by the covenantees. Now paedobaptists may try to reinterpret this passage in at least four possible ways, in order to preserve their belief that non-elect persons (such as their “covenant children”) may still be in “external” covenant with God, as was the case under the Old Covenant. A) Paedobaptists may claim that Jeremiah’s phrase, “they shall all know me,” applies only to those covenant members who happen to be elect, but not to all covenant members whatsoever. Thus the Lord is saying through Jeremiah, “All (the elect) shall know me,” not “all (who are in the covenant) shall know me.” But this would be to erase the very difference, the very contrast, the very newness that Jeremiah is attributing to the New Covenant! In every covenant administration (Abrahamic, Mosaic, Davidic) only the elect covenant members knew the Lord, even if all covenant members whatsoever did not. Rather, Jeremiah is saying here that all the covenantees, all who are in the New Covenant, will know him. Thus only the elect are in the New Covenant. There are no covenant members who do not know the Lord. B) Paedobaptists may claim that Jeremiah’s phrase, “they shall all know me,” applies to all types of people in the New Covenant. Thus they interpret Jeremiah’s contrast to be, “Whereas under the Old Covenant only one type of person really knew the Lord (the leaders: priests, prophets, and kings), now under the New Covenant all kinds of people will know him, from the greatest of them to the least.” But this characterization of the Old Covenant flatly contradicts the testimony of Scripture. Under the Old Covenant, even the lowly Hannah (1Samuel 1-2) and Mary (Luke 1:46-55) had an intimate knowledge of God, and not just the ‘great’ Samuel or David. All types of people knew the Lord under both covenants, so this can’t be the contrast Jeremiah is drawing! C) Paedobaptists may claim that the knowledge of God which Jeremiah is speaking of is an external knowledge about the things of God revealed in Scripture. Since paedobaptists faithfully teach and catechize their “covenant children,” all covenant members do know the Lord under the New Covenant! But this is to woefully mischaracterize the knowledge of God spoken of in Jeremiah. The very point of God’s complaint against the people through Jeremiah is that the people, despite their external knowledge of the things of God, had yet turned away from the Lord and rebelled against him. The one kind of knowledge which the passage can’t be speaking of is an external knowledge of the things of God passed on by parents and teachers! D) Paedobaptists may claim that baptists are failing to recognize that the contrast which Jeremiah is drawing here is between the New Covenant and the Mosaic (Old) Covenant, not between the New Covenant and the covenant as originally administered to Abraham. Since paedobaptists justify infant baptism with reference to the Abrahamic (not Mosaic) Covenant, the fact that Jeremiah speaks of the New Covenant as different from the Mosaic is of no relevance for the question of infant baptism. This point is well taken–the Mosaic Covenant was indeed added to the Abrahamic promises, not repealing or replacing them but furthering their ultimate purpose (Galatians 3:17-19). But reflection upon the realities of the Abrahamic Covenant will reveal that each of the contrasts Jeremiah asserts here between the New and the Mosaic Covenants, is also a contrast between the New and the Abrahamic! Under the Abrahamic Covenant, all did not have the law written on their hearts, or know the Lord, or have their sins forgiven. Covenant children such as Ishmael and Esau, who lived under the Abrahamic but not the Mosaic Covenant, bear eloquent testimony to this fact. Now to all non-dispensationalist interpreters, the references to the land do not denote a future earthly millennium, but the Christian’s spiritual inheritance. This passage is fulfilled in the church. It reiterates the teaching on the New Covenant in the previous chapter. The text says that the covenant which God will make with his people is an everlasting covenant. It will not be broken and then succeeded by yet another covenant. The reference is not to the return of the exiles under Ezra/Nehemiah, but to the New Covenant under Christ. Central to the blessings of this everlasting covenant is that, just like the covenant spoken of in chapter 31, it is an unbreakable covenant. The text says God will inspire the covenant members to always fear him, “so that they will never turn away from me.” All thought of “covenant children” who break covenant is banished in this covenant. Again, there is a contrast between this New Covenant and the older administrations, confirming what Jeremiah has said in chapter 31. Yet blessings do accrue to the children of these covenant members! Baptists should be among the first to recognize the practical privileges their children enjoy by being in a God-fearing home. Jeremiah says that those who are in this covenant will not only fear God for their own good, but for the good of their children after them. The faithfulness of parents in fearing God will have a profound effect upon their children. But this blessing of “doing good” to the children does not imply their covenant membership. The very terms of this covenant explicitly describe all of its members as “always fearing” God and “never turning away” from him. Therefore if believer’s children are to be members of this covenant, they must be among the elect. Simply because they are believer’s children does not make them covenant members. Nor does this blessing guarantee salvation. To interpret this “doing of good” to the children as a guarantee of salvation would prove too much for the paedobaptist. It would imply that all “covenant children” are saved, that there are no apostate covenant children. This is a prospect which no (evangelical) paedobaptist accepts. Jesus came to “that which was his own”; that is, to his own people. The Jews were his own people because they were in covenant with God, under the terms of the Old Covenant. They were properly considered to be God’s children: “When Israel was a child, I loved him, and out of Egypt I called my son” (Hosea 11:1). And yet those very people who were God’s own, his own children under the terms of the Old Covenant, rejected him. Indeed, they crucified him. But now who are the children of God, according to the text? Who are “God’s own”? Those in an “external covenant” with God? Those called out of Egypt but who later reject him? Those descended from certain parents? No! “To those who believed in his name, he gave the right to become children of God.” And these children are children because they were “born of God,” not because they were born by natural descent from Christian parents. The implication is clear. Under the Old Covenant, you could be a child of God and yet reject God. You could be “God’s own” and yet be on your way to hell. But in the New Covenant it is not that way. Those who are children of God are not so by virtue of their birth. John explicitly denies this. Rather, they are children of God because they are born of God. In the New Covenant era, only the elect can be properly considered children of God, “his own,” in covenant with God. The concept of “belonging to God,” being a “son of God,” and being “his own” has been transformed under the terms of the New Covenant. But the aforementioned paedobaptist tendency to “Christianize” the Old Testament and “Judaize” the New Testament flattens out this historical-redemptive transformation of terms. 4) Romans 9:2-4, 8:15-17 “I have great sorrow and unceasing anguish in my heart. For I could wish that I myself were cursed and cut off from Christ for the sake of my brothers, those of my own race, the people of Israel. Theirs is the adoption as sons; theirs the divine glory, the covenants, the receiving of the law, the temple worship and the promises.” (Romans 9:2-4); “For you did not receive a spirit that makes you a slave again to fear, but you received the Spirit of sonship. And by him we cry, “Abba, Father.” The Spirit himself testifies with our spirit that we are God’s children. Now if we are children, then we are heirs–heirs of God and co-heirs with Christ, if indeed we share in his sufferings in order that we may also share in his glory” (Romans 8:15-17). Note that under the Old Covenant (9:2-4), you could be adopted by God and yet be on your way to hell, in need of the very gospel which Paul proclaimed. This parallels the paedobaptist understanding of “covenant children” being in the “external covenant.” But under the New Covenant (8:15-17), all those who are adopted by God have the Spirit of God within them, testifying to their adoption. Because they are children, they are heirs of God who will certainly share his glory. Thus the concept of adoption has been transformed in the New Covenant. New Covenant adoption involves election, regeneration, and the indwelling of the Spirit. Such indwelling was not necessary to Old Covenant adoption, although Old Covenant adoption was by the design of God. All this to say: the “covenant children” of Romans 9 (Old Covenant) are not the “covenant children” of Romans 8 (New Covenant). There are no “covenant children” (in the Romans 9 sense) any more. Having seen the exegetical basis for identifying the paedobaptist hermeneutic as indeed in error, it will now be useful to point out how this error leads paedobaptists to overlook significant discontinuities in both the meaning and function of the covenant signs. Much paedobaptist argument dwells upon the analogy between circumcision and baptism, inferring from the application of circumcision to infants under the Old Covenant, the responsibility to apply baptism to infants under the New Covenant. But this conveniently ignores the many disanalogies which exist between these signs as well. Such oversight causes many paedobaptists to overdraw the analogy between circumcision and baptism, illegitimately transforming that analogy into an identity. 1) The meaning of the sign of circumcision is not identical to the meaning of the sign of baptism. We agree that there is a significant overlap of meaning between the two signs (Romans 4:11; Colossians 2:11-12). But we deny that there is an identity of meaning between the two signs. Circumcision signified specific promises and blessings that baptism does not signify, and has never signified. God made many promises to Abraham in the covenant of circumcision (Genesis 17, which confirmed the covenant of Genesis 15). Circumcision sealed the promises of that covenant. For instance: “I will make you very fruitful” (physical descendants as many as the stars in the sky)–baptism does not signify this promise, but circumcision did. Or “you will be a father of many nations”–baptism does not signify this promise, but circumcision did. Or “kings will come from you”–baptism does not signify this promise, circumcision did. Or “the whole land of Canaan, where you are now an alien, I will give as an everlasting possession to you and your descendants after you”–baptism does not signify this promise, but circumcision did. Similarly, due to this difference in meaning, we also deny that the relationship between physical and spiritual blessings is the same under the Old and New Covenants. Under the Old Covenant, the previously mentioned physical blessings were enjoyed, and the promises for these blessings were cherished, by the Israelites, even by those Israelites who lived an outwardly moral life but had no personal faith in the God of Abraham. That is, the physical blessings of the Old Covenant could be enjoyed even by those who did not personally experience its spiritual blessings (as long as the community as a whole remained faithful). But under the New Covenant, things are very different. Any covenantal promises and blessings which could be construed as “physical” (the glorified resurrection body, the new heavens and the new earth) will never be fulfilled or enjoyed by those who do not personally experience the spiritual blessings of the New Covenant (i.e. the elect). Additionally, if circumcision allegedly has the same meaning as baptism, then two important questions need to be asked: Why institute a new sign? Why baptize those who had already been circumcised into the covenant community? But if, as paedobaptists allege, baptism did replace circumcision as to its function in the covenant community, several problems emerge. First, why did Paul have Timothy circumcised? “Paul wanted to take him [Timothy] along on the journey, so he circumcised him because of the Jews who lived in that area, for they all knew that his father was a Greek” (Acts 16:3). Surely if baptism functioned the same way under the New Covenant as circumcision functioned under the Old, Paul would never have done this! Something must have been signified in Timothy’s later circumcision that was not signified in Timothy’s earlier baptism as a convert. Second, why did Paul bend over backwards to accommodate the Jewish converts’ continuing practice of circumcising their children? (Acts 21:20-26). Why did he not rather challenge the practice as completely inappropriate for Christian converts, since now baptism has replaced circumcision? Third, why didn’t the apostles and elders at the Jerusalem council refute the Pharisees’ charge (“The Gentiles must be circumcised and required to obey the law of Moses”, Acts 15:5) by the simple statement, “Because baptism has now replaced circumcision”? Fourth, why didn’t Paul, in the book of Galatians, refute the Judaizers who insisted on circumcision with the simple argument: “baptism has replaced circumcision”? Apart from their more broadly hermeneutical and systematic errors (identified above), paedobaptists often misuse isolated biblical texts in an attempt to find the practice of infant baptism in the New Testament. The baptist response to these paedobaptist misinterpretations needs to be given. Many, if not all, paedobaptists interpret this text to say that God has given a “special” promise to the children of Christians, which insures that they are in the covenant community, and are “different” from the children of non-Christians. Baptists rightly respond that the paedobaptist ear is so attuned to the Old Testament echo in this text (“you and your children”) that it is deaf to its New Testament crescendo (“and for all who are far off–for all whom the Lord our God will call”). (4) The three phrases must be taken together: (1) you, (2) your children, (3) all who are far off. According to the text, the promise is equally applied to all three categories of people. There is nothing “special” about category (2) which cannot be said about category (3), with respect to the promise of God spoken by Peter. Depending upon how the word “call” is interpreted (outward call of the gospel, or the inward call of God’s irresistible grace), this text either proves too much for the paedobaptist, or too little. The one thing it does not prove is a “special” promise for covenant children. If the outward call of the gospel is meant, then the text proves far too much for the paedobaptist. It proves that the promise is for all who hear the gospel, “all who are far off.” Do we baptize all hearers of the gospel into the covenant community, regardless of how they respond to the message? How does a promise for everyone serve to distinguish covenant children from anyone else who happens to hear the gospel? But if the inward call of God’s irresistible grace is meant, then the text proves far too little for the paedobaptist. It proves that the promise is for the elect only. Indeed, it proves the baptist position! Unless we are willing to presume election for our covenant children (a presumption without Scriptural warrant, and fraught with practical dangers for the child’s Christian nurture), then we must baptize only those who actually give evidence of being elect, of receiving the promise (i. e. a credible profession of faith). This is precisely what happened after Peter’s sermon, for it was only “those who accepted his message” who were baptized (Acts 2:41)! Also, the content of this promise is often misconstrued by paedobaptists. In the immediate and surrounding contexts, it is obvious that the promise Peter is speaking of is the promised gift of the outpoured Holy Spirit, as predicted by Joel. Do paedobaptists assume that, because their children have received “the promise,” they have therefore received the Holy Spirit? In addition, the paedobaptist interpretation of this text is a classic example of what was previously identified as “Judaizing” the New Testament. That is, distinctions peculiar to the Old Testament, such as “external” or “covenantal” holiness, are read into New Testament texts. Paedobaptists forget that the entire concept of “covenantal” holiness has been abolished in the NT. In Acts 10:28, Peter informed Cornelius’ household that “You are well aware that it is against our law for a Jew to associate with a Gentile or visit him. But God has shown me that I should not call any man impure [koinon] or unclean [akatharton].” In the context it is obvious that Peter is speaking about external, covenantal holiness, based upon external membership in the covenant community. Thus the very thing which God commanded Peter never to do (call men unclean because of their birth outside the covenant community), paedobaptists do with respect to the children of non-Christians (call them unclean). They forget that such distinctions have been abolished in the New Covenant era, as God taught Peter. Many paedobaptists interpret this text to say that Paul is giving a definition of what circumcision sealed for everybody who received it: righteousness by faith. Thus circumcision was not a merely earthly sign. Rather, like baptism, it sealed the highest spiritual blessings of the covenant of grace. But paedobaptists overlook the fact that in the context, and in the verse explicitly, Paul is speaking of circumcision sealing the righteousness by faith which Abraham had, and a righteousness by faith which Abraham already had. That is, in accordance with the biblical notion of a seal, Abraham’s circumcision sealed to him a present possession. It did not seal his need for righteousness; it did not seal a conditional promise of righteousness; it sealed to him a righteousness which he already had while uncircumcised. Thus Paul in Romans 4:11 is not giving a general definition of the significance of circumcision for everybody who received it; that would go counter to the context of Romans 4, which is the personal case of Abraham and how he discovered that justification is by faith alone. Rather, Paul is giving the significance of that sign for Abraham. The fact that circumcision signified many other realities for everyone who received it (including Abraham) has already been discussed. Of course, paedobaptists may respond that the baptist view construes two completely different definitions of circumcision: one for believers and another for unbelievers. But we do no such thing. Circumcision signified the same promises to everyone who received it. But to some who received it in faith (such as Abraham and adult converts into the covenant community), it also sealed the righteousness which they had by faith. Additionally, this paedobaptist response may be turned against the paedobaptist. For they also posit two “different” meanings for circumcision. For Abraham it sealed a righteousness which he already had by faith; it sealed a present possession. But for Isaac, and for all who received it in infancy, it sealed their need for righteousness by faith. These are two different things, and they are posited on the paedobaptist view of the sacrament, not the baptist view. Many paedobaptists interpret this text as teaching that baptism and circumcision have replaced each other, and have the same exact significance. These Gentile converts are considered by Paul to have been circumcised, when they were really baptized. In response, Baptists agree that there is an obvious analogy between the two signs asserted here, corresponding to the overlap in meaning previously mentioned. What we deny is the identity of meaning between the two signs. Who is this text talking about? About believers! Who are those who are circumcised in God’s sight? Those who have put off the sinful nature, and have been raised with Christ through their faith. Thus the concept of circumcision has been transformed in the New Testament, to denote those who have experienced salvation in Christ. It is this inward experience of spiritual circumcision that is tied to baptism in the New Testament! 5) Household baptisms, of which there seem to be four in the New Testament. It will be discussed later how paedobaptists never consistently practice the same kind of “household baptism” policy they claim to find in the New Testament. A) With respect to Cornelius’ household (Acts 10:46-48), Peter’s explicit warrant for baptizing this household is that “they have received the Holy Spirit just as we have,” NOT “the covenant head of the household has converted.” Indeed, Luke explicitly records that while Peter was preaching to them, “the Holy Spirit came on all who heard the message.” Unless we are willing to posit the reception of the Spirit, and speaking in tongues, for unbelievers, we must conclude that this was a household conversion, on the part of the individuals who composed it, and for that reason it was also a household baptism. B) With respect to Lydia’s household (Acts 16:15), baptists admit that evidence of an explicit profession of faith among all household members is lacking. But baptists also argue(6) that nothing in the passage implies Lydia was a married woman with nursing children, for she traveled on business some 300 miles from her native city; she felt the liberty, as head of the house, to invite men into her home; Luke speaks of her household being baptized, and of the importunity with which she constrained the apostles to abide in her house, no mention being made of her husband. Thus the most likely hypothesis is that she had no husband, and therefore no children. If Lydia had no children, she has no significance for infant baptism either. To read infants into the text thus goes contrary to the context (and to read the baptism of adults into the text, apart from their conversion, goes contrary to paedobaptist practice, as examined below). There is a tendency for paedobaptists to base their theory of baptism upon a strict principle of Old Testament continuity, and then to violate that very principle in their practice of baptism, by “smuggling in” discontinuities not warranted by the text of Scripture, but required if insoluble difficulties in the practice of infant baptism are to be avoided. This dilemma is to be expected, for once the teaching of the Word of God is misinterpreted as to our duty, inconsistencies are bound to be revealed in our practice. 1) Paedobaptists look for a warrant of faith in the parents of those to be baptized. On the one hand, paedobaptists claim that their practice is mandated by the command given to Abraham in Genesis 17. And yet paedobaptists will not baptize an infant unless the parent(s) give a credible profession of faith. Thus they baptize infants on different grounds than circumcision was mandated! A warrant of faith in the parents was never required in the Old Testament. “Every male among you shall be circumcised” (Genesis 17:12), period. In fact, in the Old Testament, if anyone was physically descended from Abraham, he had no right not to be circumcised! Never in the darkest days of the judges or of the canonical prophets was the privilege of circumcision revoked due to the people’s apostasy. Any attempt to read the Old Testament as if a profession of faith in the parents was required for the circumcision of their offspring is clearly a species of “Christianizing” eisegesis, a reading of the Old as if it were the New. When Abraham was required to circumcise his (hundreds of) servants (Genesis 17:27) and their offspring, neither he nor God required a personal profession of faith of any of them. Rather, “every male among you shall be circumcised,” period. When the people of God crossed the Jordan River under Joshua, an entire nation was circumcised in a day (Joshua 5:2-3). A profession of faith in the God of Abraham could not possibly have been required of each and every one of them. Again, “every male among you shall be circumcised,” period. It may objected that the very fact that these parents remained within the covenant community shows an implicit profession of faith on their part. That is, by not living an outwardly immoral life, they were not cut off from the covenant community. But this objection could not apply to the hundreds of males in Abraham’s household, since at that time the covenant community was less than a day old, and there was no time to “apostatize” by an outwardly immoral life. Indeed, paedobaptists justify the practice of infant baptism with respect to the Abrahamic (not the Mosaic) covenant. In other words, the life of the parents could not possibly have been evaluated by the stipulations of the Mosaic law during the hundreds of years between Abraham and Moses, for the Mosaic law had not yet been given. There was thus no possibility of “excommunication” between Abraham and Moses. Once again, the criterion is physical descent from Abraham, and not the faith of the parents. Besides, since when does an outwardly moral life substitute for a profession of faith? Would paedobaptists baptize longtime visitors to their churches, simply because such individuals lived an outwardly moral life? The two are simply not the same. 2) Paedobaptists do not bring their little children to the covenant meal. (9) This is significant, because the replacement of the Passover Meal (Old Covenant) with the Lord’s Supper (New Covenant) as the covenant meal, is even more explicitly stated in the New Testament than the alleged replacement of circumcision with baptism as the covenant sign. Jesus instituted the Lord’s Supper while he was sharing the Passover meal with his disciples (Matthew 26:17-30; cf. Mark 14:12-26; Luke 22:7-30). And under the Old Covenant, all in the household were invited to participate in the covenant meal. “Each man is to take a lamb for his family, one for each household” (Exodus 12:3). No warrant of faith in the recipients of the Passover meal was required. “You are to determine the amount of lamb needed in accordance with what each person will eat” (Exodus 12:4), not in accordance with their profession of faith! In order to justify their failure to bring their little children to the covenant meal, paedobaptists appeal to the strictures of 1 Corinthians 11:28-29, 31, wherein “a man ought to examine himself before he eats of the bread and drinks of the cup. For anyone who eats and drinks without recognizing the body of the Lord eats and drinks judgment on himself . . . if we judged ourselves, we would not come under judgment.” But baptists reply that the paedobaptist interpretation of this stricture is wholly inconsistent with their interpretation of various passages concerning baptism. When confronted with texts concerning the necessity of faith and repentance prior to baptism (Acts 2:38; Matthew 28:19-20; Mark 16:16), paedobaptists reply that such texts “obviously” are intended for adults only and not for all. But when they come to 1 Corinthians 11:28-29, paedobaptists arbitrarily reverse their hermeneutic and reply that such a text “obviously” is intended for all and not for adults only! Could it be that paedobaptists are accommodating their interpretation of Scripture to their previously-accepted practice, rather than judging their practice by means of Scripture? Indeed, baptists also reply that this paedobaptist recognition of a significant discontinuity between the recipients of the sacraments under the Old and New Covenants only proves the baptist point: due to the progress of redemptive history, in the administration of the New Covenant the signs and seals of the covenant are for believers only. 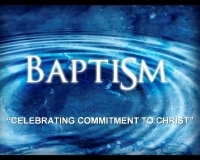 Paedobaptists accept this with respect to communion, but not with respect to baptism. They are “halfway baptists,” halfway down the road to a baptist understanding of the New Covenant. In order to justify their failure to bring their little children to the covenant meal, paedobaptists also appeal to the alleged “active” nature of the Lord’s Supper, as opposed to the “passive” nature of baptism. But apart from Scriptural warrant, this distinction seems to be an arbitrary artifice designed to preserve the paedobaptist practice of baptizing (passive) babies, while only communicating (active) adults. 3) Paedobaptists do not baptize entire households. This is inconsistent with their “oikos formula” interpretation of the household baptisms in Acts, by which they see entire households being baptized indiscriminately upon the conversion of the head of the household. In order to justify their failure to baptize spouses, adult children, and household servants upon the conversion of the head of the household, paedobaptists appeal to at least three considerations. A) The greater spirituality of the New Covenant. But this introduces the very type of “discontinuity without Scriptural warrant” that they accuse the baptists of affirming. Why would the “greater spirituality” include the babies but exclude the spouses and older children? B) Cultural considerations. Paedobaptists recognize that it would be unacceptable in our culture to practice “coerced baptisms” on these adults. But since when should cultural considerations be allowed to overturn apostolic example, especially when we are talking about the explicit command of God (Genesis 17, “every male among you shall be circumcised)? C) A supposed confession of faith on the part of the spouse and/or other adults in the household. But this is to do the very thing paedobaptists accuse the baptists of doing: reading into the household baptisms what is not explicitly there in the text. 4) Paedobaptists do not practice the “halfway covenant.” That is, if the children of covenant members are also in the covenant, then are the children of these covenant members also in the covenant? That is, if God has “children” (believers) and “grandchildren” (believers’ children), why may he not have “great-grandchildren” (believers’ children’s children), who by virtue of their descent from covenant members are also in the covenant? Thus, practically speaking, why not baptize the children of covenant children, even if those covenant children have never made a profession of saving faith? To do so was the practice with respect to circumcision under the Old Covenant. Why is it not the practice of paedobaptists under the New, given their principle of strict continuity with the Old Testament? This “halfway covenant” controversy is no abstract speculation. It was a deep practical crisis for paedobaptists in New England (1634-1828), who were forced to develop several contradictory lines of response to a fundamental practical absurdity which their paedobaptist theology raised. Note how it was not an absurdity under the Old Covenant: “every male among you shall be circumcised,” period (Genesis 17:12-14). Also note how it is not an absurdity if the covenant signs are restricted to those who profess saving faith in Jesus Christ (i.e. if the baptist view is adopted). Some may ask, “Why end your booklet by critiquing a series of emotionally-driven, ad hominem arguments for infant baptism? No respectable theologian would indulge in this kind of tugging of the heartstrings, as a substitute for genuine biblical argument!” Perhaps not, but otherwise respectable seminary students, professors, and their wives do, if my personal experience is any rule! And as long as these kinds of questions are repeatedly asked–informally yet forcefully–of baptist seminary students, church members and pastors, a response needs to be at hand. 2) “Are you saying that God won’t hear the prayers of my four-year old covenant child?” Baptists rightly respond that God will always hear a prayer for conversion from anyone, young or old. God will also hear and answer any prayer which issues from a sincere, renewed heart. Of course, not all covenant children have sincere, renewed hearts (Ishmael? Esau? the sons of Korah? Eli’s sons?). Therefore, parents can have confidence that God hears the prayers of their children to the extent that they have confidence that their children have renewed hearts, or that their children are praying for conversion. Besides, what has this to do with infant baptism? Did the covenant with Abraham involve a “promise” to hear the prayers of all the descendants of Abraham, simply because they were his descendants? Do we adopt infant baptism because it allows us to say comforting things about our children? 3) “How dare you baptists separate the children from their own parents in the covenant community! They are your own flesh and blood!” But paedobaptists do not include the spouse in the covenant community! And yet the term “flesh and blood” is more reminiscent of the marriage relationship than the parent-child relationship! “For this reason a man will leave his father and mother and be united to his wife, and they will become one flesh” (Genesis 2:24). Thus children are not “separated” any more from their parents on the baptist view, than the unbelieving spouse is “separated” from his or her spouse on the paedobaptist view. This question seems to imply that when baptist parents go to church, they leave their kids in the parking lot. Baptist parents also bring their children under the influence of preaching, catechizing, and family instruction. So what’s the point? By now it is clear that the traditional arguments for paedobaptism, including the widely-accepted “Reformed argument from the covenant of grace,” are greatly mistaken. As was stated at the outset, the traditionally Reformed version of covenant theology needs to be subjected to a more careful biblical scrutiny. Paedobaptists commit a fundamental and therefore fatal hermeneutical error with respect to the historical administrations of the covenant of grace. In doing so, they overlook significant discontinuities in the meaning and function of the covenant signs, misuse key biblical texts, raise insoluble but inevitable difficulties for their practice of paedobaptism, and (at times) make a degrading and unworthy sentimentalism masquerade in the place of genuine Scriptural argument. 1 For the purposes of this paper, the terms ‘infant baptism’ and ‘paedobaptism’ will be used interchangeably. 2 Grand Rapids, Michigan: Eerdmans, 1978. 3 Rather than reading the Old Testament in light of the New, which is the proper hermeneutic accepted by both baptists and paedobaptists, but forgotten by paedobaptists at this point. My terminology of “Christianizing” and “Judaizing” is taken from Jewett (pp. 91-93). 5 For a more detailed discussion of 1 Corinthians 7:14, see the article by Stan Reeves at http://www.eng.auburn.edu/~sjreeves/personal/1cor.html. 9 Paedocommunionists obviously do, but they are a minority among paedobaptists. And since they simply argue for an expanded level of “covenant privileges” for their infants, the arguments already given against infant covenant membership apply equally to them. 10 I am talking, of course, about God¼s special, covenant love to his own, not his general love of benevolence to all his creatures.